Empty can of refried beans into a mixing bowl. 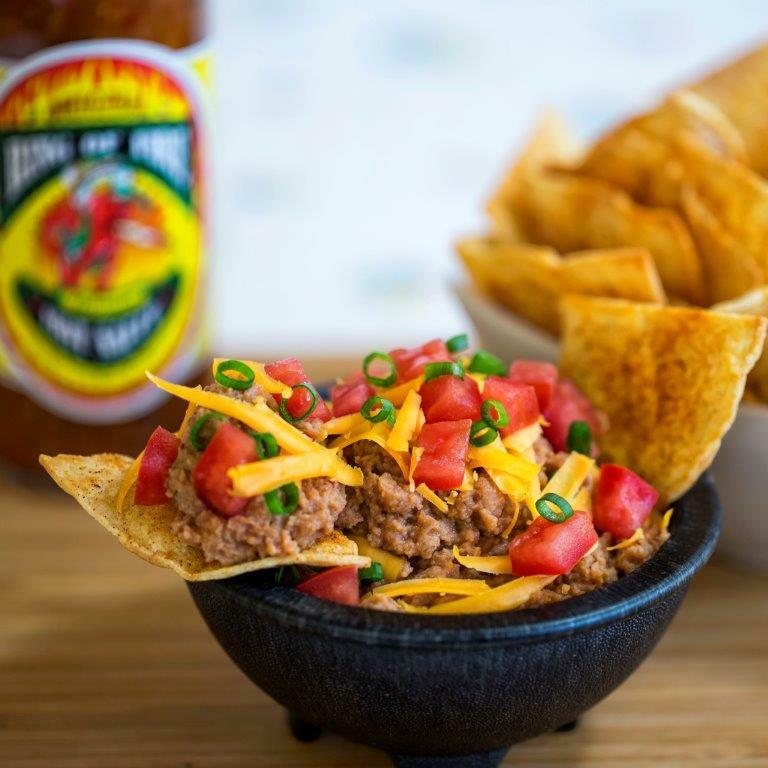 Add Ring of Fire ® Habanero Hot Sauce and mix until well blended. Garnish with cheese, diced tomatoes and green onion. Serve with tortilla chips. Variations: Try refried black beans with Ring of FireChipotle & Roasted Garlic Hot Sauce, or cannelli beans, drained and mashed with Ring of FireTomatillo & Roasted Garlic Hot Sauce. This recipe was inspired by Jeff & Kay Annette. Thank you.